The Prospero’s thought their life had settled down, but one of their computers broke yesterday and Pawel is not capable of fixing it yet. 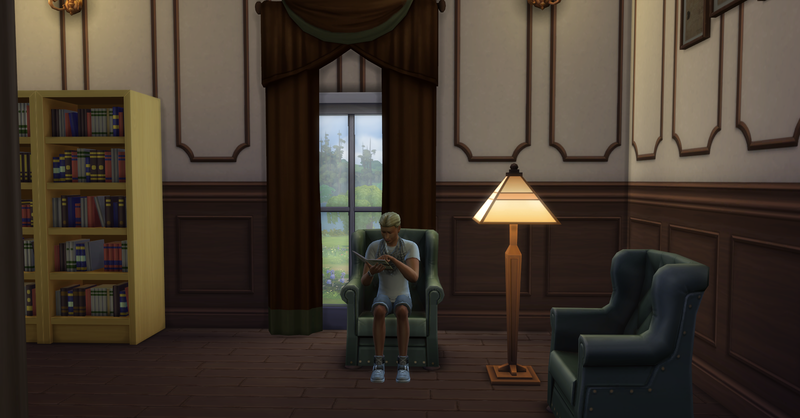 They know they both need to succeed in their career but they also need to save money at the same time because their ultimate goal is to earn §1,000,000 simoleons! Rosabelle wakes up hungry, yogurt isn’t real food after all. She is also very stinky so it is a good thing that Pawel cleaned the bathroom last night. After showering, she tried to finish her work task of writing books, she is 25% done, before she has to leave for her shift. Pawel gets up and showers while Rosabelle continues to write. Today is Pawel’s day off and he has a plan to fix the computer. He wants to make sure all his needs are high so he can make the best use of his time today. The Royalty Report came in and unfortunately someone (I wont name names) threw it away before it could be cataloged. The royalties were worth §590, their new funds are now §10,702. Rosabelle goes to work, she is able to complete her task before leaving… barely by 10 minutes. Meanwhile Pawel travels to the library. Pawel waited to use the bathroom at the Library because it is so much nicer than theirs. He implements his plan to try to repair the computer by studying handiness, this also completes his daily work task at the same time. Pawel wants to be home when Rosabelle gets home from work so when he leaves the library he is level 3 handiness. Unfortunately he feels that this is not a high enough level to attempt the repair of the broken computer yet. 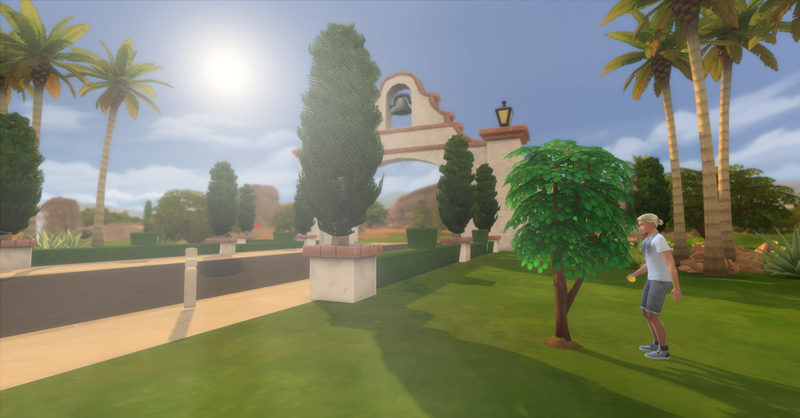 When Pawel arrives back at home, everything in Skyward Palms is ready to be harvested or collected so he sets off collecting. 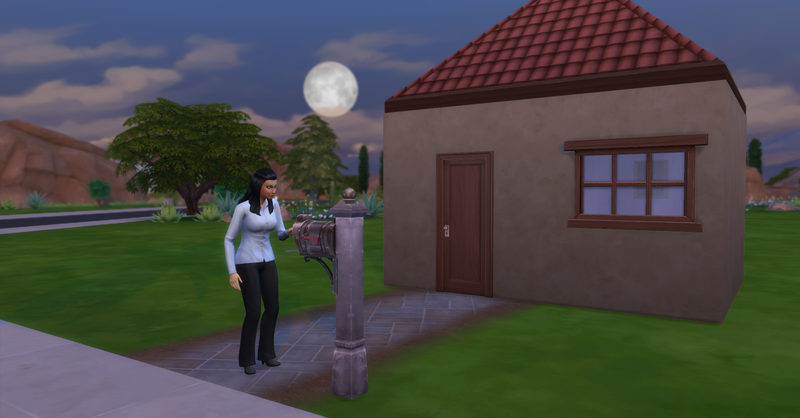 Rosabelle arrives home from work, she earned §352, their funds are now §11,054. She gets a snack and goes back to work on her screenplay for her daily work task. She finishes her daily task and the screen play. It is called It Happened One Lunch Break and she has been working on it for 3 days and she has a feeling it is very well written. She gets this moodlet after finishing the screenplay. After she is finished writing she rushes outside to send her screenplay to the publish right away. Pawel returns from collecting with quite a good haul of stuff and they sell everything immediately. 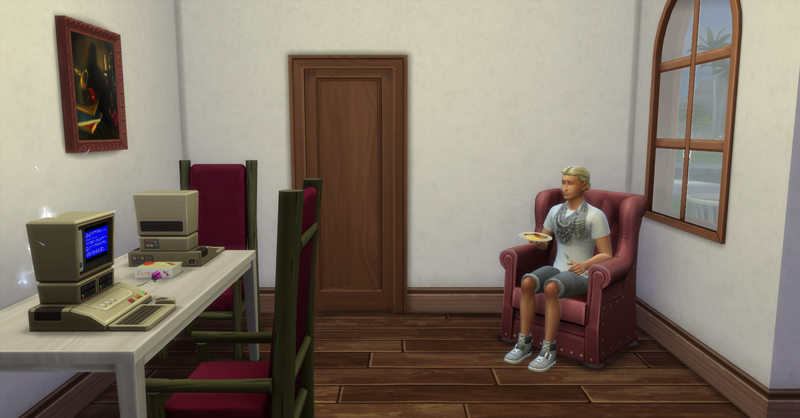 Now that The Prospero Family has amassed over §12,000 simoleons, they decide to give their house a little renovation, Pawel has some cooking skills so they want to start cooking real food, and they will want a bigger house if they are going to start a family! 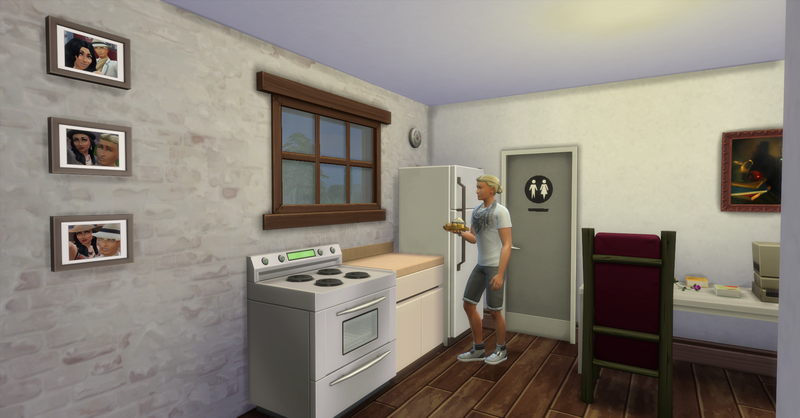 After they add an bedroom expansion, expand the living/dining area and add a real kitchen they have only spent §2427 simoleons on their basic needs. They also decide to invest in some wallpaper and flooring for their house as well to make it seem more comfortable for them. Rosabelle and Pawel really need to be able to get a good nights sleep and wake up feeling good so they decide to sell their old bed for §496 simoleons and buy a new bed, The Glamping Bed, which has a higher comfort rating, for §1055 simoleons. Their funds are now $9218 simoleons. 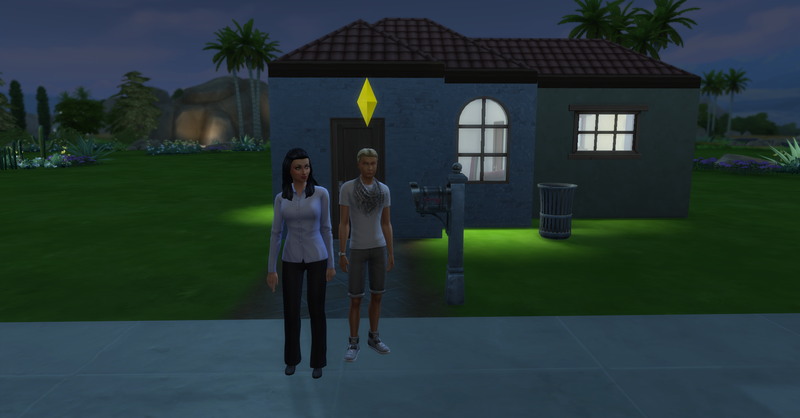 The Prospero Legacy Founders in front of their new house. Pawel goes in and tries out the new kitchen. Meanwhile Rosabelle starts a confident motivational book called Mirror Shmirror. 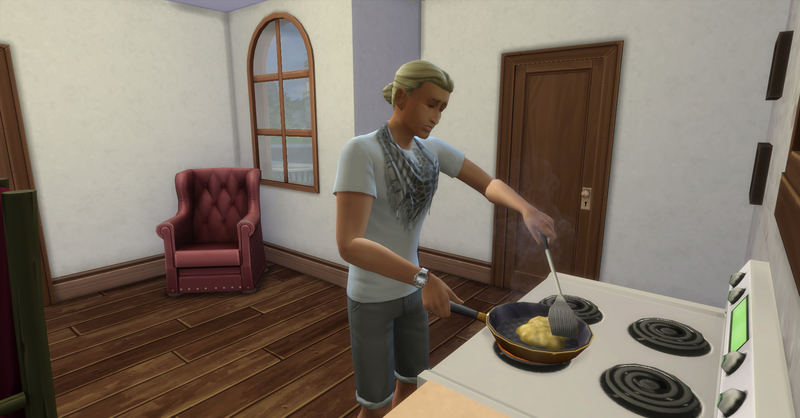 Pawel successfully cooks the eggs without burning down the house. He grabs a plate and sits down to eat. Rosabelle also grabs a plate, but she has to sit on the bed because they only have one chair. Then they go to bed in their new bed for the first time. They really deserve a good nights sleep.